Questions of animal rights are by no means idle — serious philosophers and jurists are interested in them. Actually, even the very formulation of the question of the rights of our smaller brothers allows us to formulate it more broadly: have we managed to solve all the problems related to human rights, since we consider it necessary to deal with the rights of animals? We have prepared some concepts starting from ancient times to the recent years, which will help you to write an unbiased, well-thought-out essay. The very thesis about the existence of animal rights reveals clear signs of anthropocentrism, so characteristic for human nature, and most importantly for our system of cognition. We’ve put ourselves, the beloved creatures, into the center of the world long ago. The animals for a long time were denied of having simple and fundamental skills and abilities: it was assumed that they were not able to feel, think, and even more so demonstrate “human” emotions — fear, friendliness, sadness or joy. The behavior of animals was described regarding instincts — the word itself, incidentally, appeared in the writings of early Stoic philosophers. At about the same time, attitude toward animals also penetrated human ethics. Plutarch, Diogenes and Pythagoras wrote about the inadmissibility of the torments of living beings. At the same time, none of the ancient philosophers thought about animals rights: in their eyes, the animals were deprived of the individuality peculiar to people, and torture them unnecessarily forbade the moral paradigm, the essence of which remained unchanged — you can not offend the weak only because you are stronger. This concept did not envisage any rights in the modern understanding of the word. The Stoics were the first to talk about “natural,” inalienable rights, although humanity came to a fuller understanding of this idea much later. But the philosophical thinkers of the Renaissance did not burden themselves with reflections on the natural rights of animals — it was just supposed that it was shameful to offend the “younger brothers”, and that doing so would be a bad example for children. Over time, however, a person recognized the ability of animals to feel (first of all, suffer). European countries began to adopt laws on cruelty towards animals – SPCA. The first to be found here were the British, who in 1822 adopted the law on the proper handling of horses, and two years later established the Society for the Prevention of Cruelty to Animals which later became The Royal Society for the Prevention of Cruelty to Animals (RSPCA). Approximately at the same time, the first extremists appeared: young radical members of the SPCA destroyed hunting rifles. Not belonging to them, of course. Proponents of deontological ethics believe that in some form all the “living subjects” have natural rights, and they must be recognized in the same way as human rights, regardless of the degree of intellectual capacities (in human categories) of one or another animal. 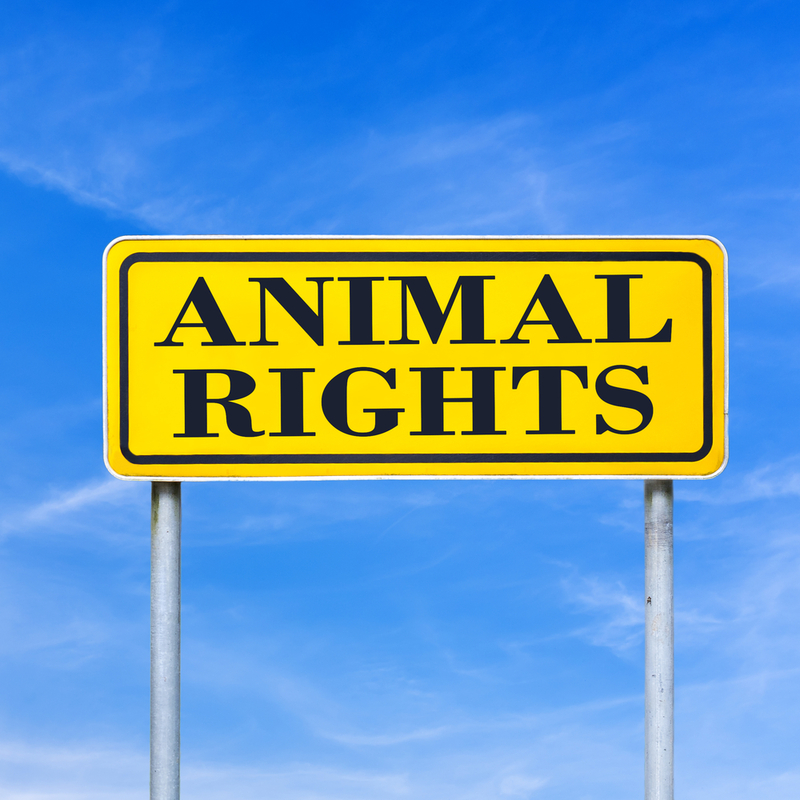 The rights of animals started to be debated at some serious level only at the end of the XIX century. The founder of the “Humanitarian League” Henry Salt proposed to consider animals in the categories of human morality and to recognize that their lives are equivalent to humans’. 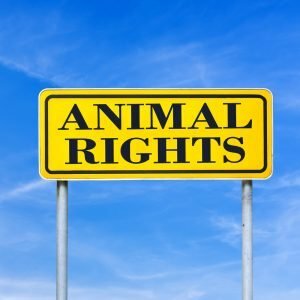 Legislation for the protection of animals in many countries continued to expand, but the concept of the equality with human rights did not go on — only the concept well-being, and in the form in which humans understand it. The idea is simple — if we don’t learn to empathize and to treat humanely the weakest link, the whole value system will collapse. Proclaiming man as the crown/peak of creation, and defining animals as raw materials, we thereby approve the right of the stronger, the so-called “first law” and it cannot act narrowly, it will be projected onto all spheres of life. When writing about animal rights, it is important not to be too emotional and concentrate on the various concepts, not on your attitude towards them. Even when you write an opinion essay you should use those concepts as a foundation for your reasoning.